When we look at social learning, a ‘trust and control’ issue comes into play: Are your learners not only allowed to use their own device at work, but also trusted to control their own learning – whether that’s from resources you control or from other people? Social Learning In The Workplace: How Is Digital Transformation Affecting L&D? Remember when media and networking were things in their own right, before they became synonymous with ‘social’? The fact that tech allows us such easy access to media and our networks in everyday life has changed how we consume information and entertainment, how we keep in touch, and how we present ourselves to the world. And now we’re adding that word ‘social’ in front of learning too. In fact learning socially is natural and fundamental to the human experience – we don’t need technology to facilitate it. But, just as the phrase ‘social media’ creates a certain amount of pressure to ‘join in’, having tech available to make it easier just sharpens the sense that social learning is something we should be doing. In many respects we’re only scratching the surface of the opportunities opened up by the ease and speed of access to digital learning and resources, not least by the untapped potential of technology-enabled social learning. Workplace culture is key here. Technology is not the issue. Everything is up for grabs – from the apps many of us use every day to online communities and customized corporate social platforms. But is the culture a fit for social learning given the freedom and autonomy that’s a prerequisite for its success? How much control is the organization prepared to allow its employees and to what extent do they even want to be empowered? What areas—regulation, governance, compliance, health and safety—are best handled (and controlled) separately? 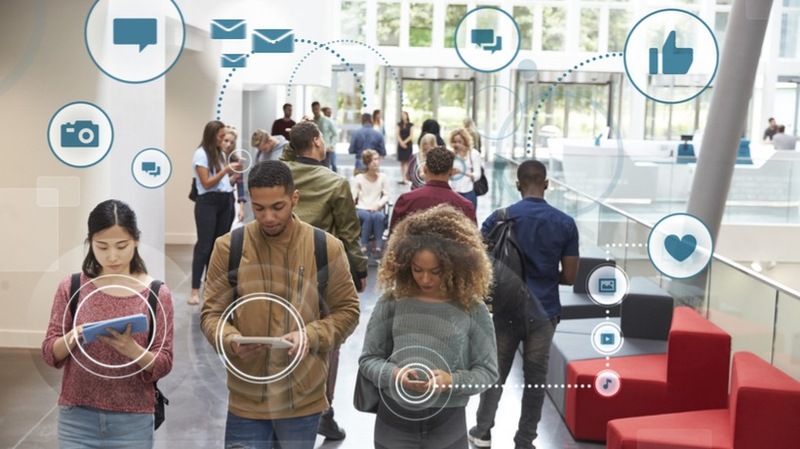 True digital transformation will take place when organizations embrace the potential of social learning both in relation to ‘formally’ designed and delivered content: Social elements embedded within digital content, and in its own right; informal problem solving, sharing, communities of practice, and user-generated content. This is what we’re calling ‘learner power’. The big question is how to unleash learner power for the mutual benefit of the individual and the organization alike. It would seem that not a day goes by where an email guiding me towards an insightful new blog or an enlightening new article doesn’t hit my inbox. It would seem that ‘social’ is now definitely the new black; apostolizing the virtues of one social tool or system or other is the latest fad. Everyone in the learning technology world appears to be spinning a line around what it is and what it means. But I’m still not convinced any of us are really getting it. For social learning to be a real thing and a core part of an organization’s learning strategy, L&D teams should take a step away from trying to own or control it and should seek to enable and empower learners to be social on their own. It would seem that in this case it’s appropriate to quote Robert Browning’s words: less is, indeed, more! Those of you who have had either a positive or negative experience of social learning initiatives will no doubt concur with our observations. So, to encourage social learning it’s less about what you do, and more about what you don’t do. If social learning is to become more than a just a cynical attempt to sell more tools or platforms and is to become an embedded aspect of modern learning businesses, employers do need to reexamine their relationships with their employees and how they want to engage with new knowledge and information. The modern, agile, responsive workplace relies so much more on an employee’s ability to make sense of their own worlds: to seek out and make the links they need to help them day-to-day, and make their own decisions about what, how, where, and when they learn. No longer can organizations act as parents or teachers, steering their employees on the path that they believe is the best. Just as we all embrace changes brought about by the access and ease of technology in life, so must the 21st century employer. Workplace learning today is about empowerment and enablement, not control and ownership. So L&D teams would be well advised—if they’re serious about social learning—to examine their own and their organization’s attitude and response towards the tools that are in common use day-to-day. And then to find ways to use them rather than ignoring or even banning them. It would seem that one fundamental determinant of what makes or breaks social learning in the workplace is not technology, but trust. Want to know more about how social learning transforms the workplace environment? 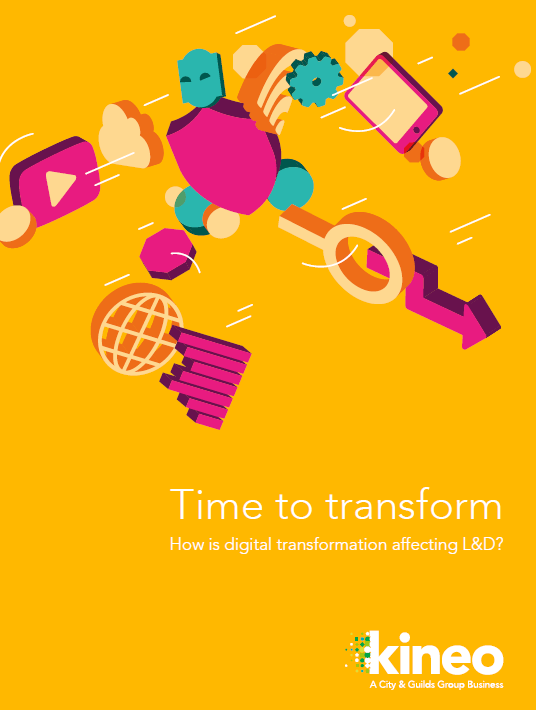 Download the free eBook Time To Transform: How Is Digital Transformation Affecting L&D?.